Welcome to Gila County Public Health Department Health Services homepage. In Arizona, no one ever has to abandon a child again. The purpose of Safe Haven is to protect unwanted babies from being hurt or killed because they were abandoned. Passed in 2001, Arizona’s Safe Baby Haven Law states that a person will not face criminal charges for physically handing over an unharmed newborn baby within the first 72 hours after birth with a Safe Haven provider. To learn more, visit the Baby Safe Haven website or you can call the Safe Haven Hotline 1-888-510-BABY. The Gila County Public Health Department offers the following services; Communicable Disease Investigation & Reporting, Immunizations, Vital Records, and HIV Care and Services. We also offer Nursing Services that include blood pressure checks, head lice inspections, sexually transmitted disease (STI) testing and treatment, pregnancy testing, TB control, reproductive health/family planning, school health clinics, and specialty clinics. You may click on any of these services below to learn more. According the the Center of Disease Control & Prevention (CDC), Influenza (flu) is a contagious respiratory illness caused by influenza viruses. It can cause mild to severe illness. Serious outcomes of flu infection can result in hospitalization or death. Some people, such as older people, young children, and people with certain health conditions, are at high risk of serious flu complications. Learn more here. The exact timing and duration of flu seasons can vary, but influenza activity often begins to increase in October. Typically, the flu activity peaks between December and February, although activity can last as late as May. Learn more about the 2017-2018 Flu Season → [PDF] [HTML]. "Take 3" Actions to Fight the Flu! ← Want this infographic? Click here to download. 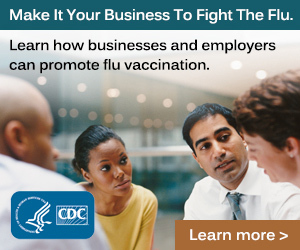 For more information on how to "Take Action" against the flu, visit the CDC website. These " 10 Essential Public Health Services" provide a working definition of public health and a guiding framework for the responsibilities of our local public health system. To learn more about these services, visit the CDC website.